WARSAW- Talk about time-proven audience pleaser. “Try to Remember” a time when this charming, romantic musical wasn’t enchanting audiences around the world. 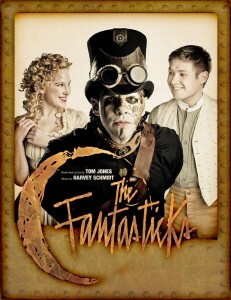 At 7 p.m. Thursday, March 13, at the Warsaw Performing Arts Center, Nebraska Theatre Caravan will bring to the community “The Fantasticks” the world’s longest-running production of any kind, and with good reason: at the heart of its breathtaking poetry and subtle theatrical sophistication is a purity that transcends cultural barriers. Written by Tom Jones and Harvey Schmidt, it went on to play a record-breaking 17,162 performances before closing, making it the world’s longest running musical and the longest continuously-running production of any kind in the United States. This fresh, new adaptation of this classic musical, “The Fantasticks” promises to provide an unparalleled experience, whether revisiting or seeing it for the first time. Call for reservations today at 574-371-5040.